ST400FM0243 - 400GB 1200 SSD SAS 2.5IN 2048MB . 400GB 1200 SSD SAS 2.5IN 2048MB . 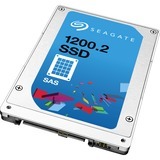 Marketing Information: The Seagate 1200.2 SSD family includes the next-generation of high-capacity, high- performance SAS SSDs designed with multiple endurance offerings optimized for demanding enterprise applications and maximum TCO savings.